Ok firstly I want to confirm if breville do or don't allow you to buy the dual boiler without the grinder anymore? Because depending on that, it changes my plans. Also, how on earth are people finding the dual boiler for under 1100-1300$??? Is it at specific times of the year? Because if I could find one for under 1000, this would probably be a no brainer. I'd be getting that with either a Vario or M2M grinder. Otherwise, I have found myself perusing sub 1500 hx machines, particularly the Oscar 2. I absolutely adore the look of the appartamento but I think that's starting to push myself out of the budget and I'd probably start skimping on the grinder which ideally I wouldn't want to do. Would be making 4-5 cups a day and mostly milk based. You can sometimes buy the BES920 on its own for below $800, OK Guys, Ding Lee, and Hardly Normal etc seem to have sales on them every 6 months or so, it doesn't seem to be a regular time of year so keep an eye out. We bought one a month back and had to buy it with the grinder. $1299 at Hardly Normal. It is all boxed up together and understandably wont separate them. I don't think they are available as a separate unit at the moment. I'm happy we got the grinder anyway. I love the programmable grind time, it means the same qty each time you use it. Do you mean this one for $899? Any of the appliance machines are probably best purchased with extended warranty, as the cost of an annual service or any repair is likely to exceed the extended warranty cost. Best thing is just be patient. 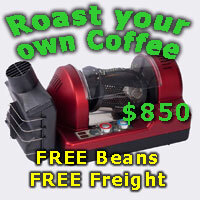 There are multiple cheap ways to make coffee and all coffee is good if fresh beans are used. It will eventually come up at Harvey Norman and if it doesn't you'll be able to afford an HX with all the money you've saved. Last edited by Erimus; 2 Weeks Ago at 06:34 PM. Dimal, WarrenK and CoffeeChick6462 like this.